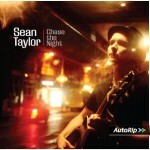 Share the post "Album review: SEAN TAYLOR – Chase The Night"
‘Chase The Night’ confirms Sean Taylor as one of this country’s leading roots rockers. If New Orleans singer songwriter Anders Osborne sets the standard for crossing over roots rock to a bigger audience, then Sean emulates him on his own terms. He incorporates his own life experiences and locations into his songs, albeit frequently with a John Martyn style whispered vocal, some biting lyrics and always with an ear for a good groove. And its a mighty groove, some deftly layered sounds and JJ Cale style guitar that colours the opening title track, as he gently voices his lyrics over a wall of sound and a very catchy ‘nah nah nah nah’ refrain. It’s the perfect opener to an album that ebbs and flows as it doffs its hat to the likes of John Martyn and Neil Young. There’s an undoubted familiar feel to ‘Biddy Mulligans’ (ie. the song not the pub), which is reminiscent of Neil Young’s ‘Harvest’, but is carried by Taylor’s poetic imagery which transposes Southern Californian style, singer- songwriting to his home turf of Kilburn, over gentle piano and sonorous violin. There’s also a similar Neil Young feel to the horn inflected ‘The Road’, except that Sean’s wordplays and poetic refrains are uniquely his own. His lyrics are rooted in his own experiences, flecked with romanticism and refracted through the bottom of a pint of Guinness and shaped by the occasional wee dram. This album is also very much the sum of its parts with the songs being shaped by a myriad of influences, but ultimately they are brought to life by Taylor’s atmospheric style. ‘So Fine’ for example, is built round a JJ Cale style hypnotic guitar line and boosted by an ethereal vocal from Stephanie Daulong, with multi instrumentalist Mark Hallman providing the bottom-end and layered sounds. Sean’s romantic vision is evidenced by ‘London’, a co-write with Mark Hallman, who is humorously credited as being on whisky piano. It’s another John Martyn influenced piece, making Danny Thompson’s presence on double bass all the more significant, as Sean adds Martyn style acoustic and a nicely slurred vocal to emote thoughtful lines that draw on Ray Davies’s eternal view of the capital: ‘Waterloo sunset melts as Terry an d Julie walk on, Beauty never dies it keeps us holding on, London skyline laced with diamonds intertwined’. The songs all flow, the lyrics linger, the arrangements capture the moment, and his vocals are versatile enough to hover over a range of emotions. Sean adds a train-time blues harp on the smouldering ‘Love Bleeds’ and he’s also adventurous enough to fatten out the sound on ‘Under The Volcano’ with sax , piano and organ, on a song which doesn’t quite measure up to its hangover hook: ‘Cut a Whisky halo, I am under the volcano’. The album finishes with the expansive ‘River’ on which he adds a heavily accented poetic street rap: ‘I’m just another Londoner looking in’, before he emphatically concludes; ‘This is my River, This is our daily bread, These words are all I have’. But what lyrics they are! The song bursts with rhythmic colour and deeply wrought emotion, intertwined with a band vamp, punctuated by a drifting piano and echo reverb guitar, with an instrumental coda. Such is the quality of this album, that this song would ordinarily have been the title track. As it is ‘Chase The Night’ sets out his conceptual framework that celebrates the personal, the social and the imagined. As Sean says: ‘You drink it in, You cut the sun, You do the pills, To make it numb’. For the straight laced among us, you need do no more than immerse yourself in an album that unlocks the powers of suggestion, through poetic imagery, expressive phrasing and delightful playing. Sean may look to the past for his influences, but he has the poetic vision to apply broad linguistic brush strokes on a canvas that he’s only just starting to fill. This entry was posted in ALBUM REVIEWS, ALBUM REVIEWS (Mobile), All Posts and tagged Anders Osborne, Chase The Night, Danny Thompson, John Martyn, Mark Hallman, Neil Young, Ray Davies, Sean Taylor, singer, singer songwriter, songwriter, Stephanie Daulong, Warren Hood. Bookmark the permalink.